This image shows a three-dimensional model of the rock dubbed "Humphrey" at Gusev Crater, Mars, the Mars Exploration Rover Spirit's landing site. Spirit examined the lumpy rock with its suite of scientific instruments both before and after it drilled a hole into the rock surface on the 60th martian day, or sol, of its mission. "Humphrey" was one of several stops on the rover's way to the large crater dubbed "Bonneville." This model is displayed using software developed by NASA's Ames Research Center. 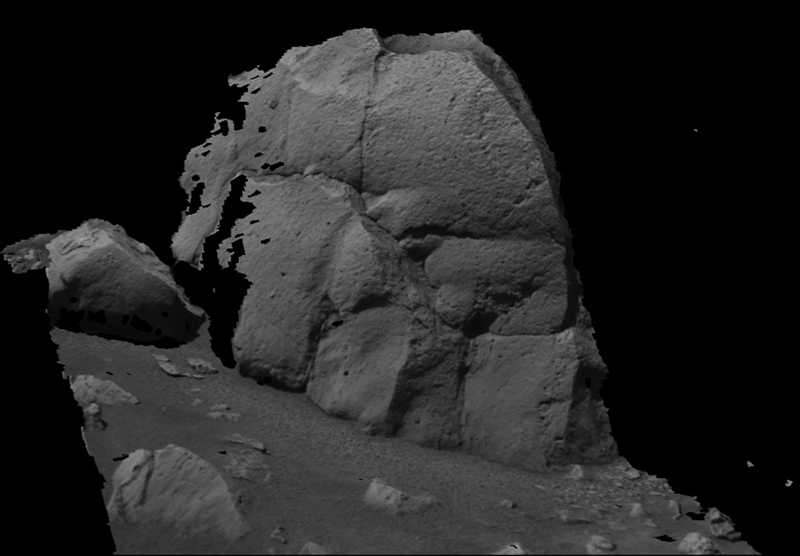 Images from the rover's panoramic camera were used to make the model.